It’s a landlord’s worst nightmare: no rent, property damage, and months to wait for an eviction. The only way this gets worse is discovering that the same bad tenants have scammed other landlords. A couple in Ontario have been ordered to pay over $20,000 in combined back rent owed to three different landlords, according to a recent news report. In one case, the Landlord and Tenant Board ordered the tenants to pay $7,800 in unpaid rent but stopped short of evicting them. Another monetary award — for $9,250 — was entered before the first two monetary awards had been paid off. And those awards do not include any property damage the couple caused — an estimated $15,000 in one rental alone. The current landlord is experiencing the same problems. Yet, that information is not readily available to future landlords. According to the report, the tenant bragged about knowing the ins and outs of the eviction system and successfully delayed the process simply by not showing up. Eviction delays are systemic to the dispute resolution system, and tenants — even nightmare ones — are given every opportunity to delay and defraud. Landlords cannot rely on the eviction process to minimize this income loss. Apparently providing an incorrect phone number. Anytime a rental applicant asks to change the essential terms of the tenancy, that’s a red flag. The individual may be testing the waters to see just how far the landlord will bend. Applicants in the process of eviction will be desperate to move in and short on cash. Moving prior to the term of the current tenancy agreement is a sign of a pending eviction. One of the reasons that bad tenants get away with hurting multiple landlords is that the landlords are not sticking together. One of the best ways to discover the applicant’s rental history and protect future landlords is to participate in the tenant database at LandlordCreditBureau.ca. This database can confirm a good rental history, as well as flag tenants who have defaulted on rent or caused property damage. By signing up to Report Rent Payments, landlords provide incentive to tenants to pay rent each month. That information is shared with a credit bureau and associated with the individual tenant’s credit report. Prior landlord references are crucial to catching professional tenants, especially those in the process of eviction. Tenants who refuse to provide accurate contact information regarding the current and previous landlords are not qualified. A tenant credit check can expose unpaid rent, late payments, bounced cheques, evictions and judgements from other creditors, including previous landlords. Take legal action to stop a bad tenant at the first sign of trouble — the first skipped rent payment or signs of property damage. Weighing the tenant’s excuses or negotiating will only embolden a bad tenant and delay the hearing process for an eviction. Seek legal advice regarding the forms that need to be filed and served on the tenant. Any mistakes will further delay the process. 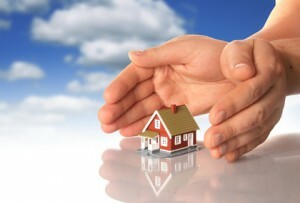 Be prepared to prove the case in dispute resolution by keeping contemporaneous records of the tenancy, including rent receipts and notes of conversations. The Landlord Tenant board is the problem. They do nothing to help the landlord and perpetuate and embolden bad tenants. No judge should be on the board adjudicating until they were first a landlord. It is no wonder there is a rental housing shortage. The LTB can also take full credit for that. It is no wonder why landlords are going the airbnb route instead of long term renting. That way if you were to have a bad renter you can get the police involved immediately to evict. The government with the one sided LTB is the total cause of this current problem with no end in sight. I could not agree more with Jake’s statement. I especially agree about the part that the LTB adjudicator be or has been a Landlord. I would also say that they should have at least 5 years at being one!